It’s raining somewhere in the neighbourhood this afternoon, but not here at the time I ‘m writing this. Hopefully by the time you read it that’ll have changed as the garden could really use a good drink. 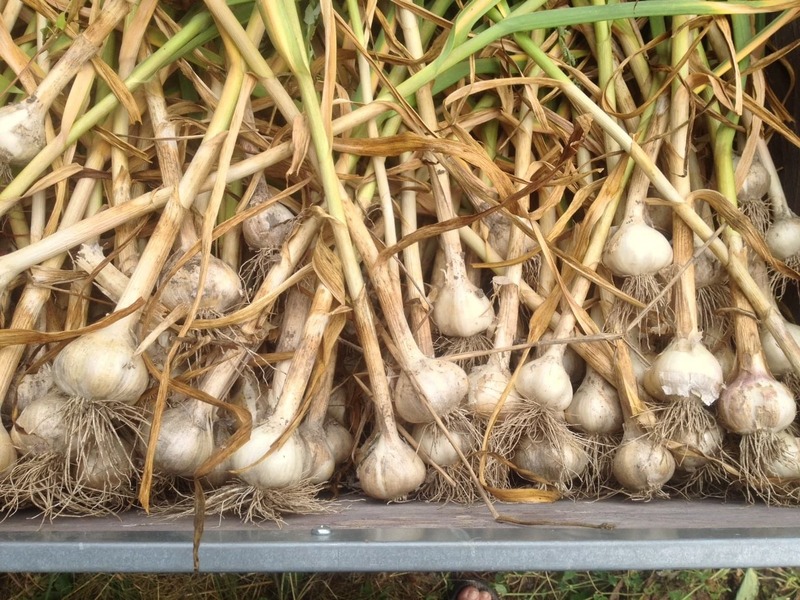 As we wait, we’ve started the Great Garlic Harvest (one third out of the field so far!). They are a little smaller than last year, but still looking good. 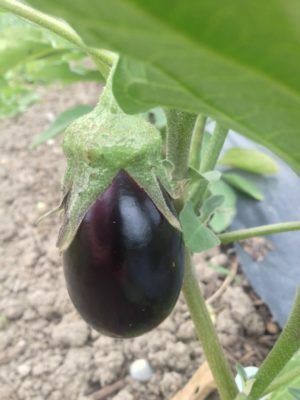 The potatoes have started popping up despite the lack of rain, so I’m looking forward to having more of those for you this year, there are a few varieties I’ve never grown before which is always exciting. 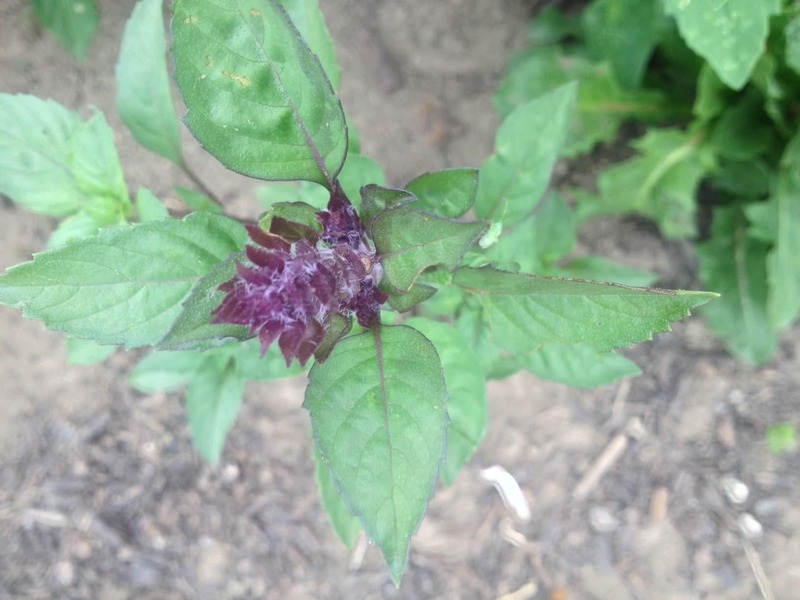 Speaking of new varieties, your shares this week will include Persian basil, it looks beautiful, much like Thai basil, but is reported to have a sweeter taste, let me know what you think of it. 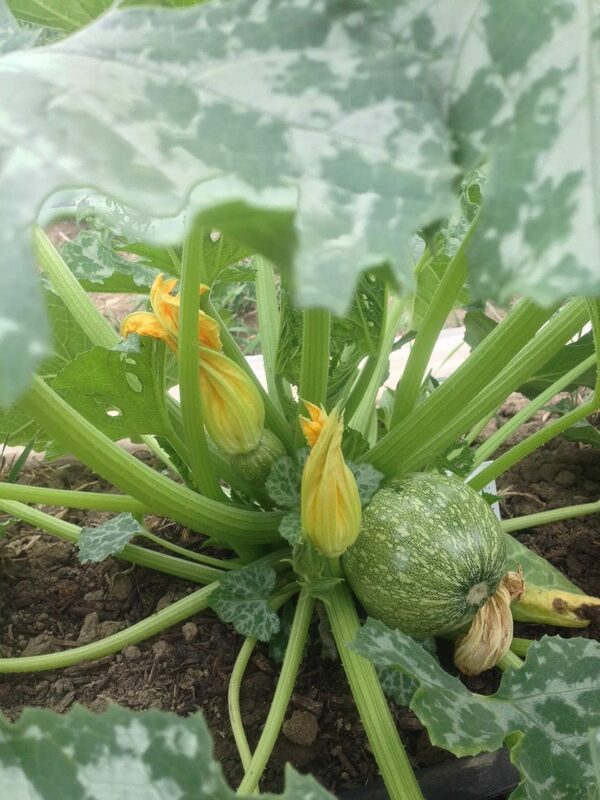 The summer squash has come along as promised and I have a few new varieties there as well, including a perfectly round one with the most beautiful leaves it could be an ornamental. If you like stuffing your zucchini I bet it would be perfect for that. Ernest ate most of the red cherry tomatoes in exchange for helping me water the greenhouse, so we’ll have to wait another week for those, I’ll put what I can find out for you to snack on during pick up! 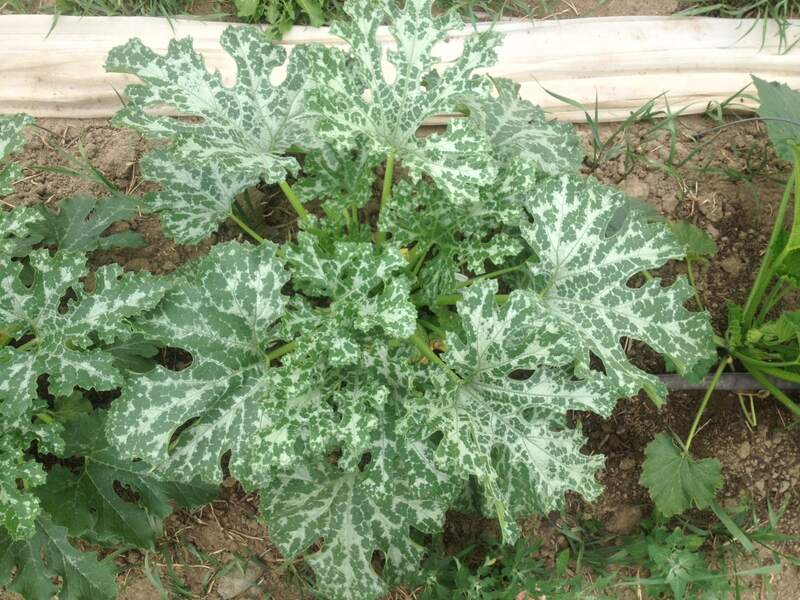 People often ask me what to do with collard greens. 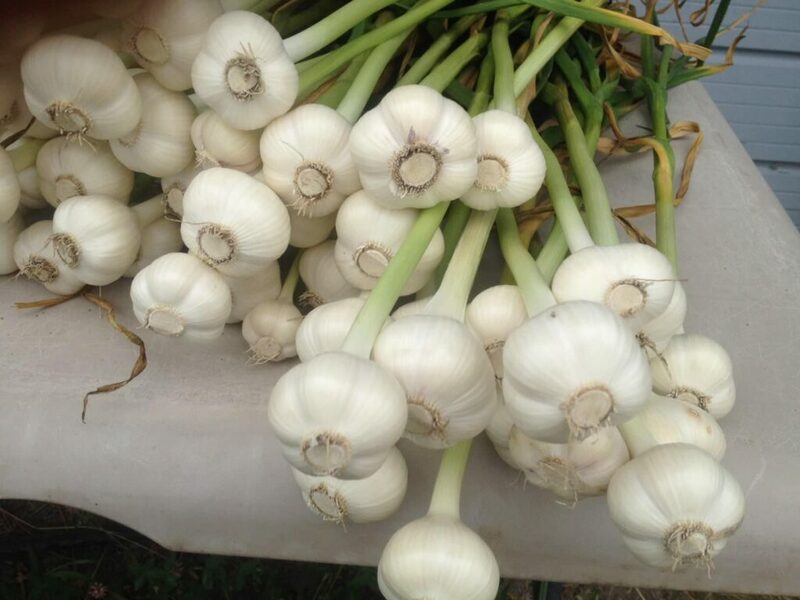 Here is a most simple and delicious recipe that would be perfect with fresh garlic.